On Sunday, Nov. 4 at 10:30 a.m., Friedman will lead Exerc-EYES for DIVA at Powerhouse Fitness and Yoga in Medford with the proceeds going directly to Diva and the dogs of One Love Animal Rescue. Diva is a 9-year-old blind, lab terrier mix. She’s fearful of other animals but loves humans. 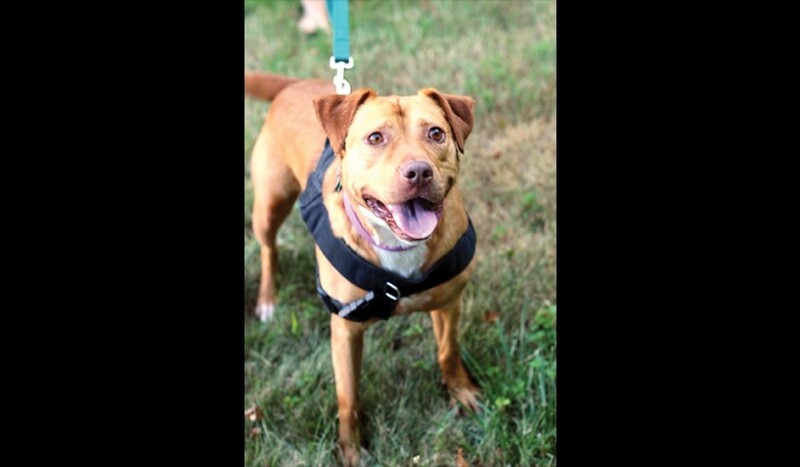 Due to her fear of other dogs, One Love Animal Rescue cannot take her to adoption events. Enter the eye doctor. Optometrist Kimberly Friedman of Moorestown Eye Associates has held yoga classes to benefit One Love in the past, so One Love Director Dawn Hullings approached Friedman about holding an event specifically to benefit Diva and help get her adopted. On Sunday, Nov. 4, at 10:30 a.m., Friedman will lead Exerc-EYES for DIVA at Powerhouse Fitness and Yoga in Medford with the proceeds going directly to Diva and the dogs of One Love Animal Rescue. One Love Animal Rescue started in 2013. The board members wanted to draw from their experiences as fosters in other rescues and make them even better. Today, the organization is close to its 700th animal saved. In 2016, Hullings pulled Diva from a shelter in Philadelphia. At the time, she was a 7-year-old blind surrender. Hullings said Diva was very fearful of the other animals in the noisy shelter, and she knew she needed to get her out of there. Friedman has been involved with One Love for several years. She said she and her husband have adopted several dogs with special needs throughout the years, but One Love always stood out as the most caring organization they worked with. As such, Friedman started doing fundraisers through her practice at Moorestown Eye Associates as well as through Powerhouse Fitness where she teaches yoga. Dogs with special needs are often more difficult to get adopted, Friedman said. For that reason, Hullings and Friedman agreed it would be more impactful to have Diva in attendance at the event. The class is by donation. The suggested donation is $20, but participants are encouraged to donate what they feel comfortable giving. In the past, the yoga classes have raised around $500, but since Diva will be in attendance, Friedman’s goal is to raise around $1,000 this go-around. The proceeds go toward the pets’ medical care. “The founders of One Love do such a fabulous job of making every dollar count,” Friedman said. Once the participants are settled in on their mats, Friedman will talk about her commitment to the rescue. Hullings will then walk Diva around to to meet everyone as they sit there. Diva is house and crate trained and in certain settings does well off leash. She would do well in a home as the only pet. Visit Diva’s adoption page at https://www.facebook.com/Blind-Dog-Off-Leash-1841101579479129/. To find out more about One Love Animal Rescue, http://www.oneloveanimalrescue.org.